Already yesterday there was this smell in the air. Yes, I insist on this: You can smell upcoming snow! And when I got up this morning, over night the surrounding had magically transformed. As a daily commuter by car, I am aware of all the discomforts snow and cold temperatures bring with them. But every year, when I see for the first time again rooftops and trees covered in white, when I recognize the silence that snow creates, I forget about all the freezing, the frozen car windows, that have to be scraped free early in the morning … and there is only childlike joy! 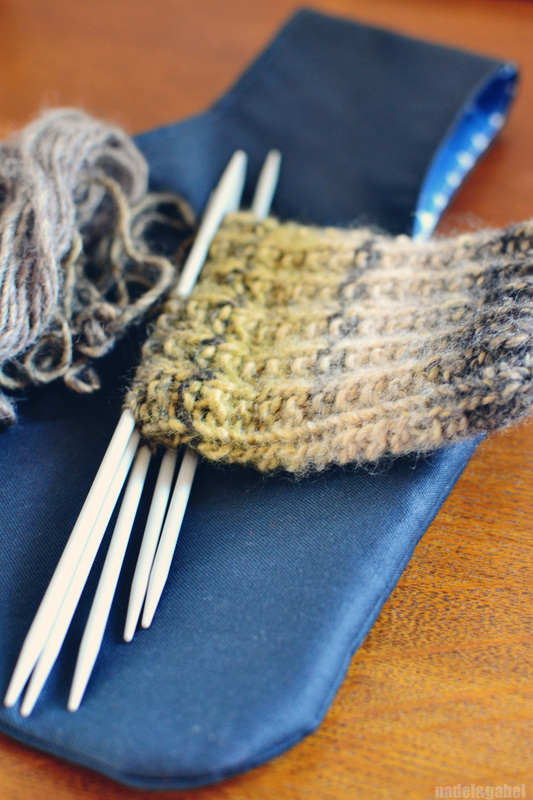 With the first snow flakes, I now declare knitting season officially opened – and as well pre-christmas season. Time to get cozy, time to think about family and friends, about presents that would make them happy. 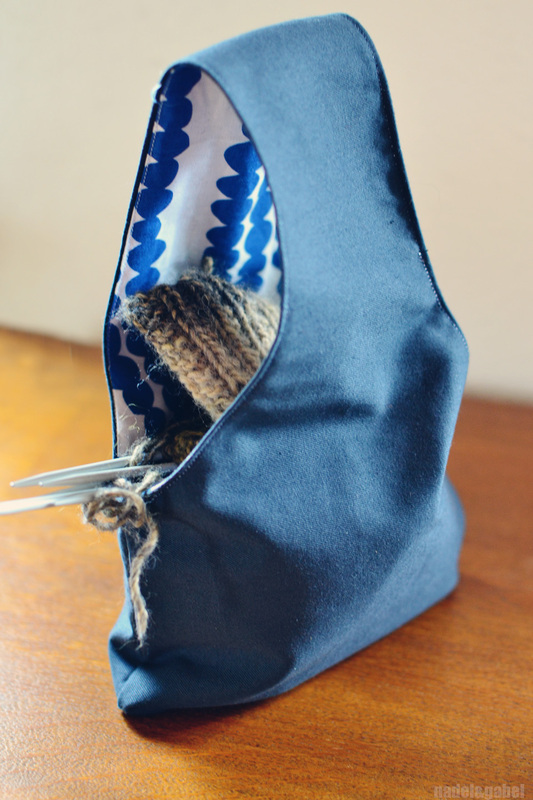 This knitters project bag f.ex. 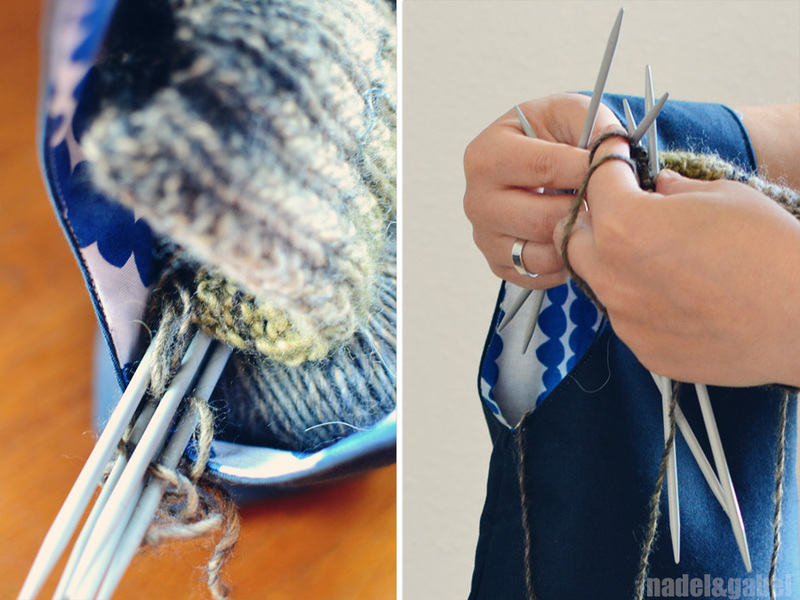 is such a practical gadget for regular knitters or crocheters. Cut pieces, sew up a stash of these and you already have some nifty presents for your crafty friends. I’ve bookmarked these cute pouches already a while ago – resolving to create a similar one for myself and as a pleasant gift for knitters. So I made some sketches, did some trimming, finally was happy with the pattern and started to sew. It’s far away from difficult to sew. It’s one of those projects from the category “Why didn’t this idea come to my mind?” – So, let the preparation for christmas begin! Note: The pouch is reversible, however I refer to the blue fabric as exterior and the Lotta Jansdotter “Pebbles” as lining. Create the pattern for your bag. You can orientate yourself on the measurements above. Cut out both pieces of fabric and interfacing – if you wish so – using your pattern. (Iron interfacing to exterior fabric). Place both pieces right sides together and pin along the curved sides (handle). Sew curved sides (1+2). Secure ends by sewing back and forth. Clip curves. Now turn the piece right side out. Iron seams flat. Now layer the two exterior bodies right sides together and do the same with the lining pieces (see picture above). Pin in place and sew seams together (3+4), again securing ends. Leave an opening for turning in the lining (4). Clip rounded corners. Turn right side out through the opening. Close the lining seam either with a small machine stich; this way your pouch won’t be reversible. 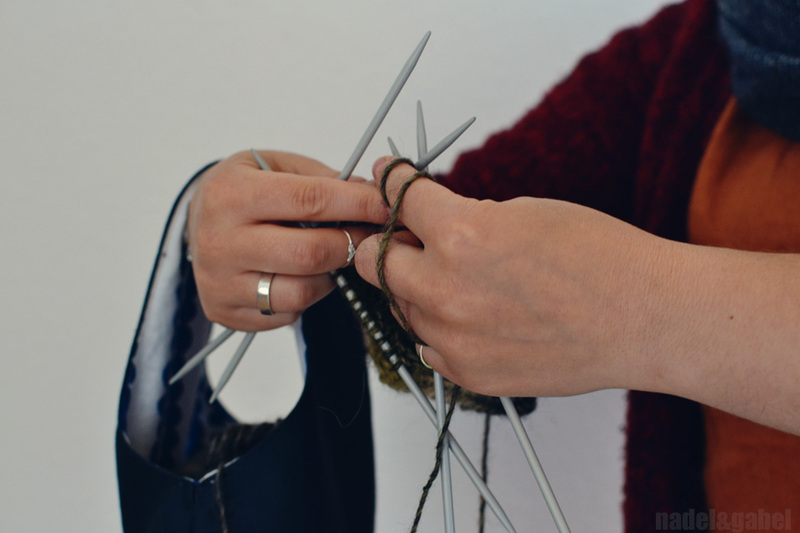 If you want to wear the bag two ways, use an unvisible slip stich. Press bag in place, iron along the opening, pin in place and topstich all around. Cool, thanks! I really like the outcome of your bag! Is the height of the fabric in the materials part correct? What are the final dimensions of this bag? 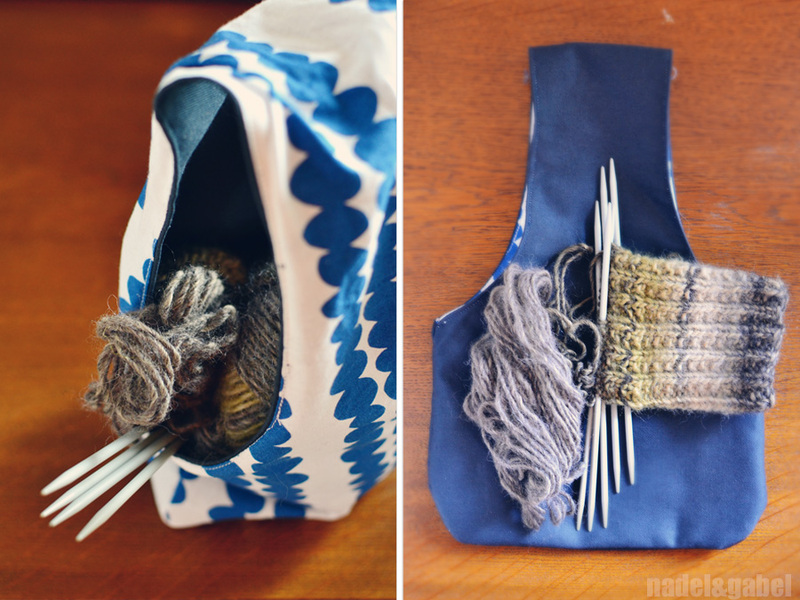 Im dying to make this cute little bag for my mom but want to make sure I’m reading correctly! Thank you! Thanks very much for your question! The figures indeed were wrong (don’t know how this happened) and I have now corrected them! Happy sewing! I would love to use this pattern as gifts for the members of our Prayer Shawl Ministry group. And, I’d like to make a few to sell at our Boutique Table at a local quilt show. Might I have permission to use your pattern in one or both of these instances? Dear Deb Lorah, your welcome to use this pattern for those purposes. I would be interested to see some results!